Charles Snyder is the Director of Prospect Management and Advancement Research at Nova Southeastern University. Charles was raised in Northwest Florida, has worked and lived in several places around the United States, and has made his home in South Florida. He is a fundraising information and internal communication professional with experience in public speaking and teaching public speaking at the university level. 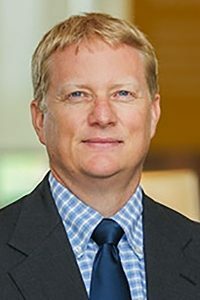 He has been in professional fundraising since 1994 providing prospect research and research services to colleagues, associates, and the greater community. Charles has served in multiple volunteer roles within the non-profit community. He is currently the president for the Florida chapter of the Association of Professional Researchers for Advancement (APRA); has been a writer and guest editor for APRA’s Connections, is a content review panelist for the Prospect Research Institute’s Insider Stock and Compensation program; and has presented for the Association of Fundraising Professionals, California Association of Researchers for Advancement, and for several APRA International Conferences. Charles has written for children’s television and short films as well as for prospect research publications and fundraising industry websites. Charles earned a BA and MA from the University of West Florida and MFA from Loyola Marymount University. Charles volunteers in the community by actively supporting his children’s actives and is the founder and monitor for the trail running virtual community, Northwest Florida Trail Runners. He spends as much time as he can outdoors in the wonderful natural areas of Florida and the Southeast.